First, if you’re self-publishing a book and want it to sell, you’re going to need a quality press release that earns you book reviews. Why? Book reviews legitimize your work, establish your credibility as an author, and give readers a shortcut to understanding the value of your content. Quality book reviews are also required by many publishing platforms to list your book. Translation? Book reviews are a big deal! But don’t be intimidated. Ready to get your self-published book some quality book reviews? Keep reading! Look, nobody’s perfect. When I started out, I made lots of mistakes in seeking to get my book reviewed. But, relax, there’s good news! My early mistakes are yours to learn from, master, and move beyond. My hope is that the information below will be useful and instructive as you seek to get your book reviewed online, in magazines, and in local newspapers! Mistake #1: Too many authors spend too much money on book reviews. Ok, let’s get this out of the way. You don’t have to spend hundreds of dollars with big-name editorial review sites to have your book evaluated and reviewed. In fact, typically, paid review sites have no better sales influence than reviews left by regular readers. Mistake #2: Many authors get book reviews from their family and friends. Relying on friends and family to write you a book review isn’t a good idea. Don’t believe me? Recently, Amazon began removing book and product reviews that the web giant suspects are not credible. How does Amazing know? Using social media, Amazon performs a search. If your friend or relative isn’t already a reliable reviewer, why would they suddenly be credible to review your book? Also, keep in mind that Amazon’s powerful algorithm means that a reviewer’s “also-boughts” will likely show up somewhere on the book’s sales page. You don’t want aunt Mille’s knitting yarn showing up alongside your book, do you? No way. 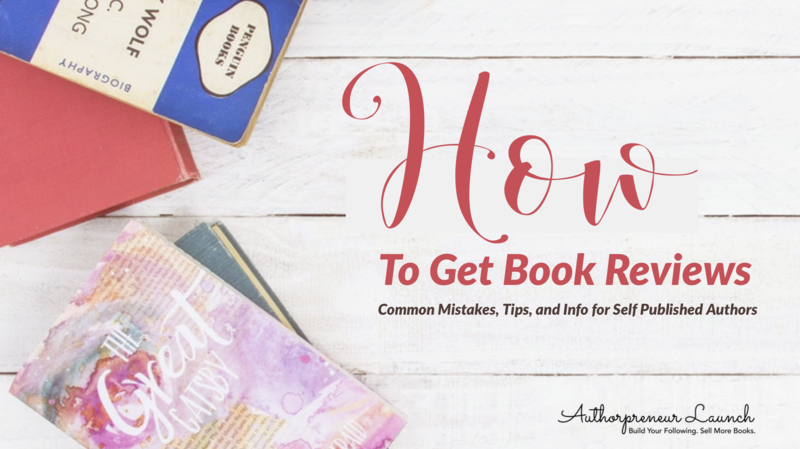 Common Mistake #3: Too many authors only get reviews for their book’s print edition. Some authors make the mistake of getting reviews for the print edition of their book, then stopping there. Don’t do it! Instead, be sure to post reviews at the end of your book in every format! That means you’ll want to have reviews for your ebook, and your audiobook, your print edition, etc. Common Mistake #4: A lot of authors fail to cultivate beta readers. Self-published authors need to use every tool in the kit to succeed. So, don’t miss the opportunity to cultivate beta readers from your existing email list. They’re a great source for quality reviews. So use that list and ask them to leave reviews upon your book’s publication. If your email list is short (or you don’t have one), explore other options to locate beta readers! 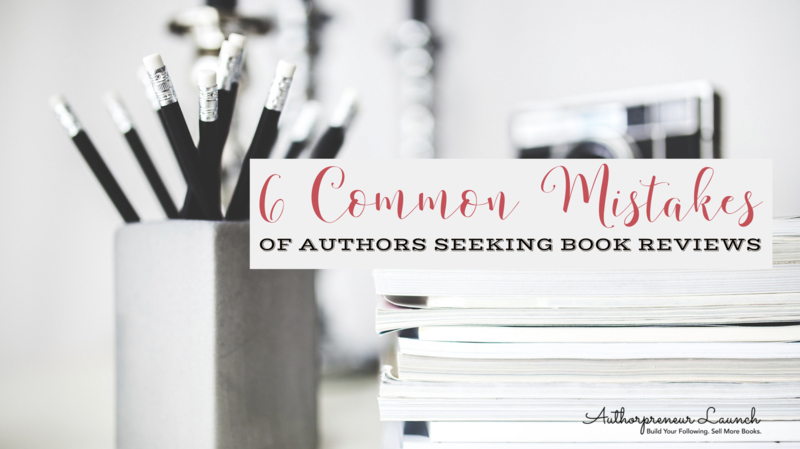 Common Mistake #5: Many authors rely on reviews from readers outside their genre. You’ll get the best reviews from readers who read in your genre. Having them review your book will ensure that their other book purchases (in your genre) will show up in your Amazon “also-boughts” for your book. It will also give your book exposure to other readers in your genre and generate sales. Also important: remember that many third-party bargain book sales sites have a minimum number of review requirement before they will accept your book for promotion. Common Mistake #6: Authors prioritize Goodreads reviews over Amazon reviews. Amazon reviews mean a lot. Why? The Amazon platform is super powerful. Its reach goes further than Goodreads. Still, many self-published authors make the mistake of focusing on getting Goodreads reviews as opposed to Amazon reviews. In my experience, Goodreads’ review scores tend to be lower than Amazon’s. Yes, Goodreads has a reputation for housing more critical readers (to put it nicely). But you can’t beat the power of an Amazon review. So seek Amazon reviews first! 2.) 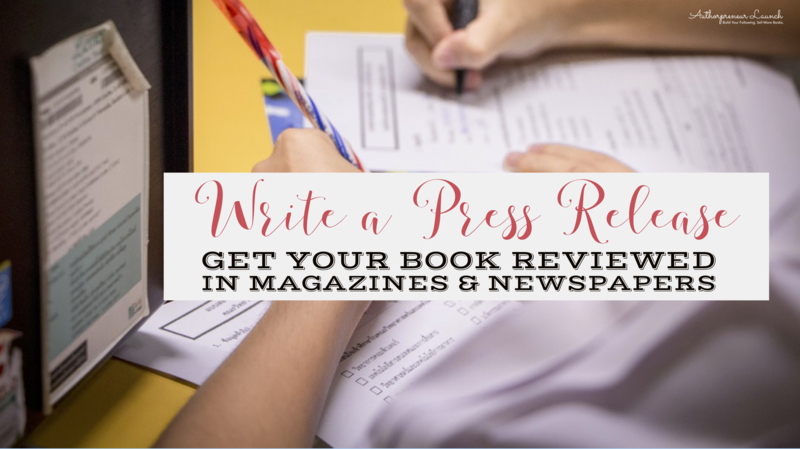 If you want to get your book reviewed in magazines and newspapers, you’re gong to need a quality Press Release. To get started, look online for strong, well-vetted examples. Use these examples as your template as you begin to write. Along the way, ask trusted readers and friends with (preferably friends with marketing experience) to crosscheck and proofread your work. If time doesn’t allow you to write your own (and you can afford to pay a qualified writer at a site like Fiverr) have a writer prepare a press release for you. Keep in mind: press releases follow a specific style, length, and format. Remember that you are competing with other news and authors for attention, so grab an editor’s attention in the headline and first paragraph of your press release email. Furthermore, be aware that your press release is intended to essentially write their article/book review for them. So write concisely and in a tone that a magazine or newspaper editor can practically copy and paste. When your content is prepped and ready, paste it directly into a personal email. Include images of your book cover. Don’t use attachments! Many reporters don’t like attachments because of the virus and malware potential. Locate reviewer or reporter email addresses. Email your press release and a query out directly to these reviewers. Introduce yourself, make it personal, and ask them if they’d be interested in reviewing your book. Follow up if you don’t get a response in a week. If they’re still unresponsive, move on. However, if they express interest, send them a copy of the book in their preferred format. Resist the urge to send out paperback copies with your queries through snail mail. The costs of these books add up and you might find them for sale on eBay or at your local library’s semi-annual book sale. Feel free to skip the large papers like the New York Times. They require a large lead time and cater to the big publishers who pay for advertising space in their publications. Instead, stick to local papers and magazines first and foremost. Local authors are local celebrities in their own areas, so you’re more likely to get a review. And finally, don’t spend too much time pursuing this strategy. A handful of reviews from regular readers on Amazon will probably generate more sales than any local newspaper article unless it is very newsworthy. 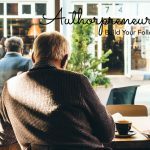 If you’re an independent author hoping to generate sales through ebook platforms like Amazon, then it’s vital to line up reviews from your beta readers who will post reviews upon the release your book. Note that Amazon imprints, along with large publishing houses, are able to get pre-publication reviews up on Amazon. And, although can be tricky for independent authors to get pre-pub reviews for books in preorder on Amazon, there is a way! To succeed, you’ll need to launch your paperback ahead of your ebook so that your paperback reviews stick to your ebook during any preorder period for your ebook. Make sense? Also, if you are publishing your book only on Amazon, think twice before scheduling a long preorder period (anything longer than a week). Doing so may, in the end, take sales away from your launch day and the days that immediately follow. Instead, prepare a short preorder period that will allow Amazon to get everything set up correctly (like categories, description, and pricing). That way you’ll be able to see it happen and correct any mistakes before the book is officially launched. Keep in mind: it’s preferable to get sales after your book’s release. Done properly, this will give your book the best chance of establishing a presence and getting solid traction on Amazon. So, it’s worthwhile to get your paperback out at least a week before your ebook. That way reviewers can review it and you can assemble pre-pub reviews for a week. Okay, now can I offer a final warning or proviso? A lot of what this pre-publication stuff I just mentioned requires a large readership base. If that’s not you, then consider worrying less about pre-pub reviews. Instead, spend time getting reviews up immediately after you publish your book. Get your book live, begin to get reviews posted, and you’ll have the immediate social credibility necessary to generate organic sales in your genre through “also-boughts”. And, in turn, you’ll be enabled to qualify for third-party promotion sites! When should authors stop asking for reviews? As an author, you should be greedy about reviews. One can never have enough of them! Furthermore, there is no “age” when your book is too old to get reviews. Although, typically, you can expect just 2% of readers to leave a review. With that in mind, you’ll need to be consistently asking readers for reviews. As noted above, these reviews will demonstrate social proof to potential readers. A new review on an older book shows potential readers that your title is still being read. It may also generate algorithms to show your book to other potential readers. Most indie authors are working on a budget. Paid review sites like Kirkus and NetGalley are financially out of reach. 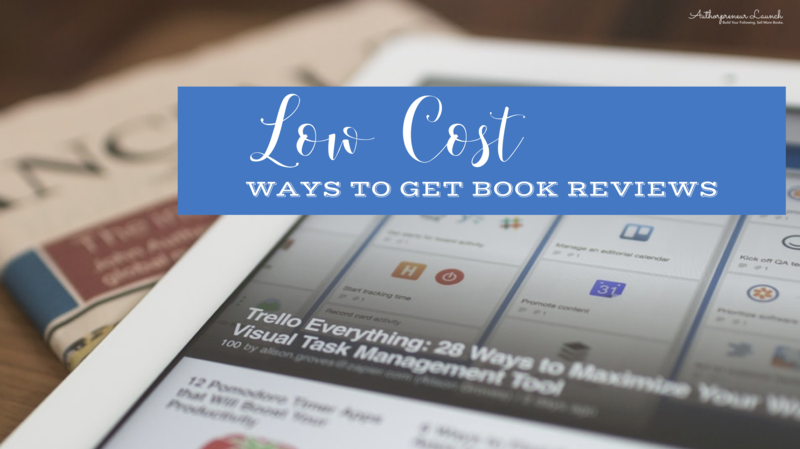 So, let’s look at low-cost ways to get your book reviewed. While some of the sites out there are worth paying for reviews, others aren’t? Also, be aware that paying someone to review your book is a violation of Amazon’s TOS. Providing an advance readers copy (ARC) of a book in exchange for an honest review is not a violation of Amazon’s TOS. It’s up to you to make sure any paid sites are legitimate and they are not review farms. A review farm has fake account(s) that post favorable reviews and violate Amazon’s Terms of Service because you are essentially paying someone for a positive review. With that said, there are some services around that distribute your book for a fee to potential reviewers and their reviewers (who are volunteers) post their honest reviews in exchange for an advance readers copy. Even those services technically do not violate Amazon’s terms of service, if they are merely perceived by Amazon to violate the terms of service at some point in the future, Amazon may remove the review(s) without notice or recourse. This has happened before and, in using these services, you always run that risk. Readers of these services typically leave reviews with a disclaimer that they have received the book as a volunteer in exchange for an honest review. (I can link some books with these type of reviews if you want to see them). 1. Book Life: Get a Publishers Weekly Review. No cost. 3. Midwest Book Reviews: Caters to small publishers/ self-published authors. 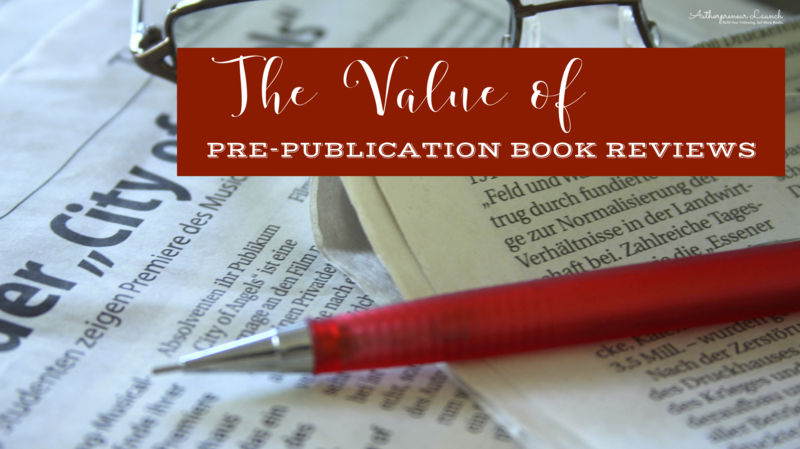 Fee: $50 “Reader Fee” for reviewing ebooks, pre-publication manuscripts, galleys, uncorrected proofs, ARCs, or pdf files. 4. Xpresso Book Tours: an interesting way to get a low-cost exposure ($65) to NetGalley for one month. 1. Hidden Gems. Some genres are booked a year out. Fees at site. 2. Book Sprout. Watch this video to see how it works. Note: you’ll need to know your release date. Free, 20 ARCs. $10, 50 ARCS $20, unlimited. 3. Voracious Readers Need ASIN. Free 20 readers with reviews. $20 per month plan. Read FAQS on site to see how it works. 4. Virtual Book Tours with Review Packages. Some virtual book tour organizers put together packages that are geared to get reviews from bloggers and other readers by offering free or advance copies of your book to readers. If your focus is to get book reviews, research past review tours to make sure your genre is one the tour organizer has experience handling. If your genre isn’t one the organizer has handled before or if the organizer seems to have had difficulty servicing prior books in your genre, take note. Finally, look at the Amazon or Goodreads for past books to make sure the reviews appear on them. While posting a review on a blogger website is nice, nothing beats an Amazon review. You can usually spot a blogger review on Amazon because it carries a disclaimer. Okay, that’s it for today, you guys! 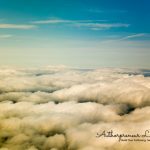 I hope this post is helpful as you prepare your own press release, seek book reviews, and get your work out onto the big publishing platforms for sales! If you have questions, comments, or want to share your own experience getting reviews, leave me a comment!